Pink is every girl’s favorite color! Our pink & purple princess castle is sure to make her feel like a princess for the day. It will also entertain everyone else who wants to join the fun. 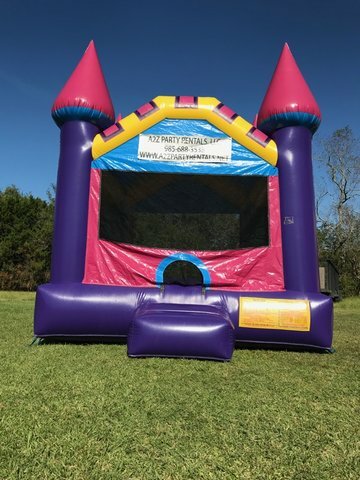 Call us to rent this 13 foot jumper for $100.00 a day.